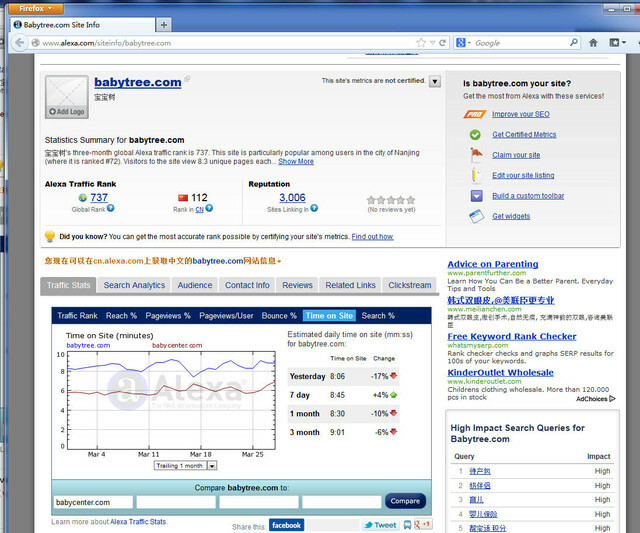 China’s Babytree.Com Surpassed U.S.-Based Babycenter.Com to become World’s No. 1 Pregnancy And Parenting Website. 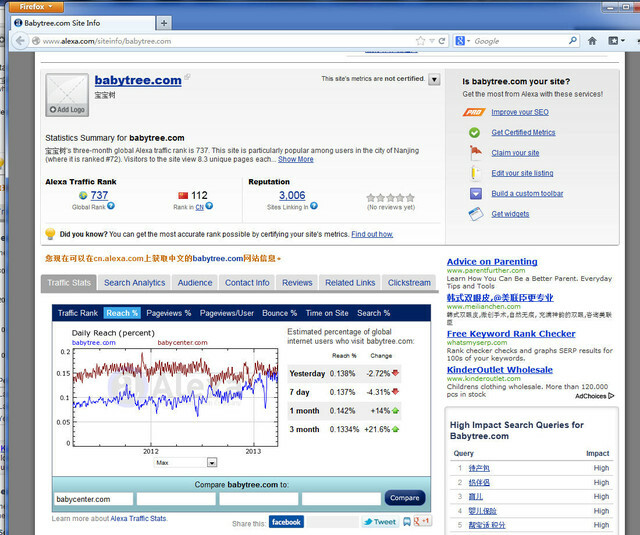 According to most recent data published by Amazon’s web statistics tracking site Alexa.com, Beijing-based Babytree.com has surpassed the well-known online parenting portal BabyCener.com in terms of overall traffic (PV, or Page Views), unique users (UV, orUnique Visits) and time on site. With 55 million unique monthly visitors, most of whom pregnancy stage to pre-school (age 6) children moms, Babytree is now the world’s leading parenting portal. In other words, Babytree now reaches over 80% of all China’s mom online users from pregnancy to pre-school (age 6). According to Alexa.com, Babytree.com overtook Babycenter.com in terms of site traffic starting as early as June 2012. Babytree’s unique visitor (UV) surpassed Babycenter.com from the beginning of 2013 after showing strong upward momentum. Equally impressive is Babytree’s site “stickiness”, as evidenced by its page views per users (2x Babycenter.com), and average staying time per user (1.5x Babycenter.com). Graph #1: Babytree (Babytree.com in blue curve) has surpassed Babycenter.com in PV (Page Views) since June 2012. Graph #2: Babytree (Babytree.com in blue curve) has surpassed Babycenter.com in UV (Unique Vistors) and continues to show strong growth momentum. 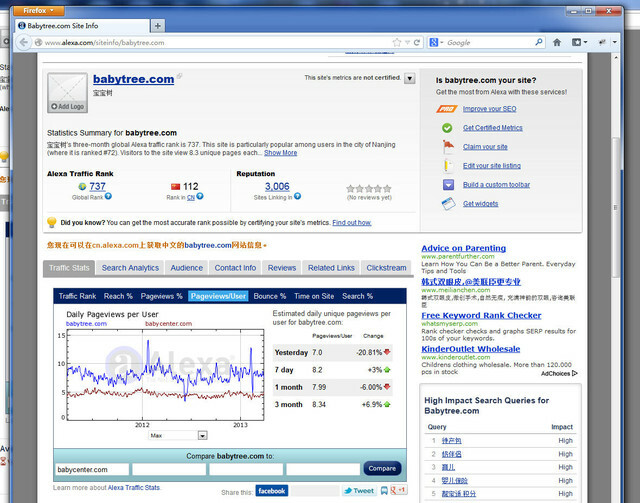 Graph #3: Babytree (Babytree.com in blue curve) doubles PV (Page Views) per visitor than Babycenter. Graph #4: Babytree (Babytree.com in blue curve) users spend 1.5 times more time per visitor than Babycenter. Founded in 1997 and headquartered in San Francisco, US online parenting giant Babycenter.com has always been regarded as the most popular online parenting platform, favored by worldwide moms, particularly those in the US and in Europe. 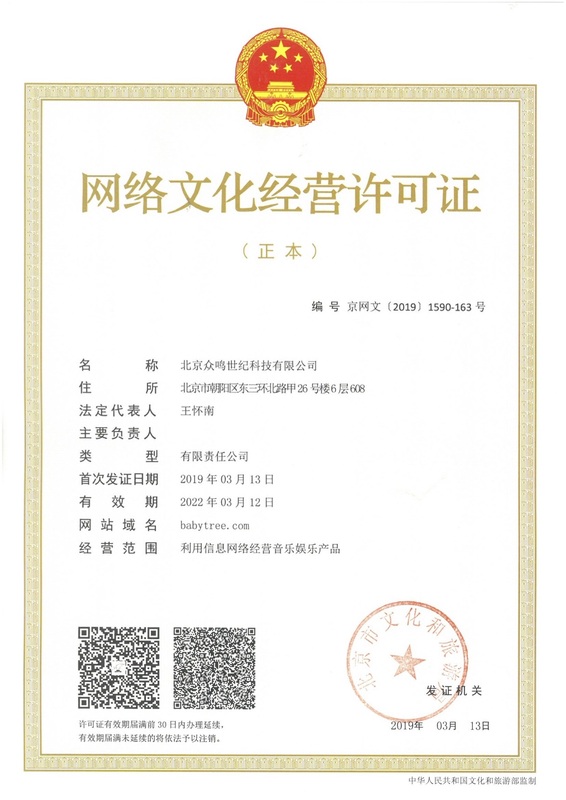 Founded in 2007 in Beijing, 10 years after Babycenter’s establishment, Babytree has been growing leaps and bounds and now has surpassed the once most popular Babycenter.com. Babytree’s overtaking Babycenter as the world’s leading parenting site has established China’s growing importance in the worldwide competition to offer great online services to the mom and family population. Allen H. Wang, Babytree’s co-founder and CEO, praises Babycenter.com for its long standing accumulation of quality content. However, Wang believes that his Babytree’s community parenting philosophy by fostering online communication and community support is more “in” with the current generation of young moms. 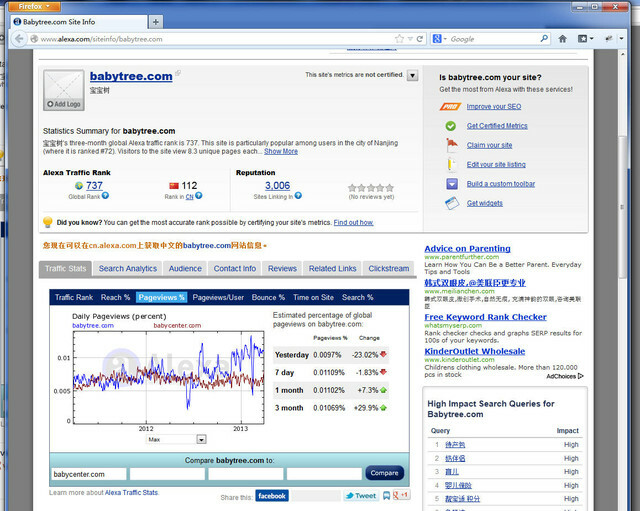 And Wang attributes Babytree’s fast rise in usage and popularity to this online communal philosophy. With a massive reach of over 80% against China’s pregnancy stage and pre-school moms, many of whom overseas Chinese users who communicate with their China based family via Babytree, Wang believes that Babytree.com is also poised to exert more international influence. Wang harbors a dream of one day taking Babytree global by offering multi lingual services. Chinese mom population with its huge market potential has already become the target audience for various industries. 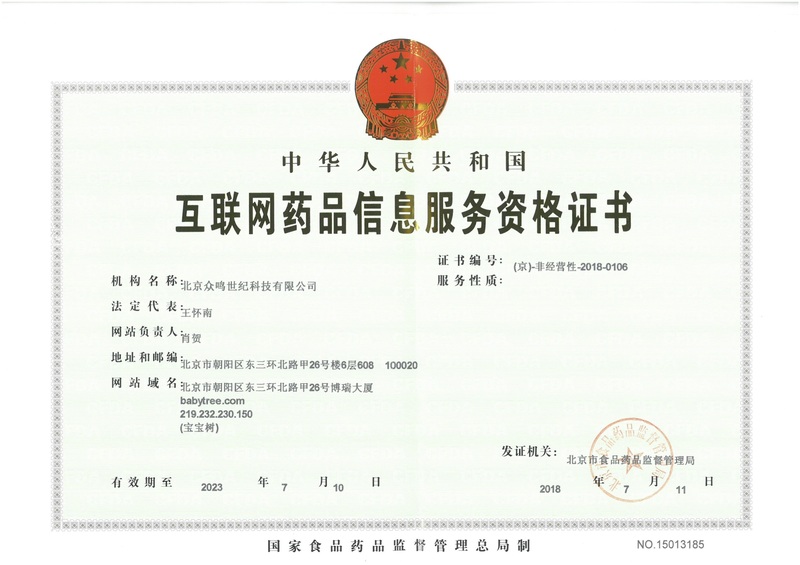 With the fact that now China’s Babytree.com has surpassed Babycenter.com in all measures as the world’s leading parenting portal, China will for sure witness a wave of web start up passion in the parenting area. Babytree’s Wang believe 2013 will be an explosive growth year for the parenting industry in China, and he thinks “ those who can truly satisfy the variety of needs of China’s parenting generation will have a competitive edge. Babytree’s CEO concludes by saying “We have built the world’s leading parenting portal with the past 6 years of effort. We will maintain this position by better meeting parents’ needs on and offline, and by offering more innovative solutions to moms in China and beyond.